The leader of luxury parties! Permitted only for VVIP ! Diamond party! The Diamond White Team has prepared a white spotlight party! 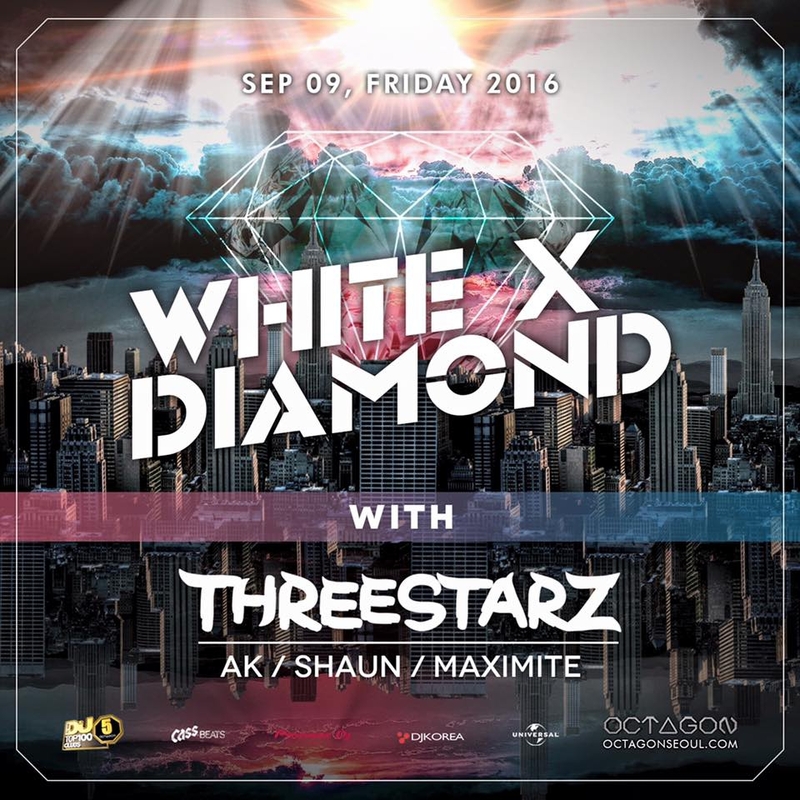 Also, one of the best DJ trio (AK, Shaun, & Maximite) in Seoul, 'THREE STARZ' will feature as our special guest. Fascinating performance! Great event ! Special present ! The White Diamond team welcomes you to the 'WHITE DIAMOND' party.